Concerning children under 10, extra bed and Breakfast are free (one child per room only). You work in tourism, you are an association, friends... you would like to travel in a group, do not hesitate to contact us, we will make you a personal estimate of your stay with preferential rates. A swimming-pool to relax ! Free high-speed and unlimited Wifi ! 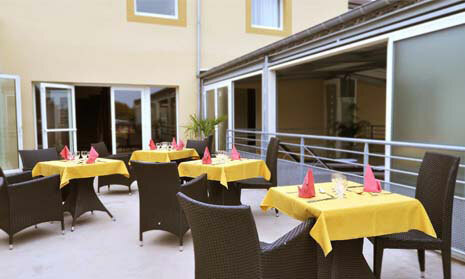 3 stars hotel restaurant from Arcantel group. We welcome you with pleasure in our hotels. For more informations, visit us at www.arcantel.fr ! Arcantel © 2018. All rights reserved.